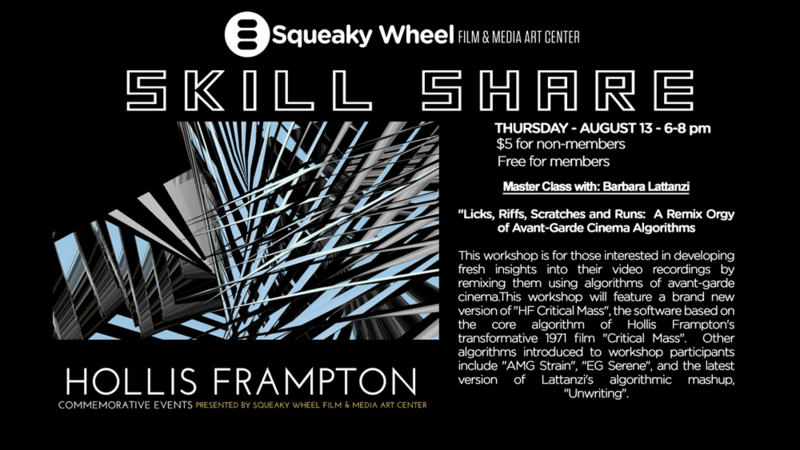 This workshop is for those interested in developing fresh insights into their video recordings by remixing them using algorithms of avant-garde cinema. What can an algorithm do? Algorithms can reveal hidden structures in plain sight! This workshop will feature a brand new version of “HF Critical Mass”, the software based on the core algorithm of Hollis Frampton’s transformative 1971 film “Critical Mass”. Other algorithms introduced to workshop participants include “AMG Strain”, “EG Serene”, and the latest version of Lattanzi‘s algorithmic mashup, “Unwriting”.